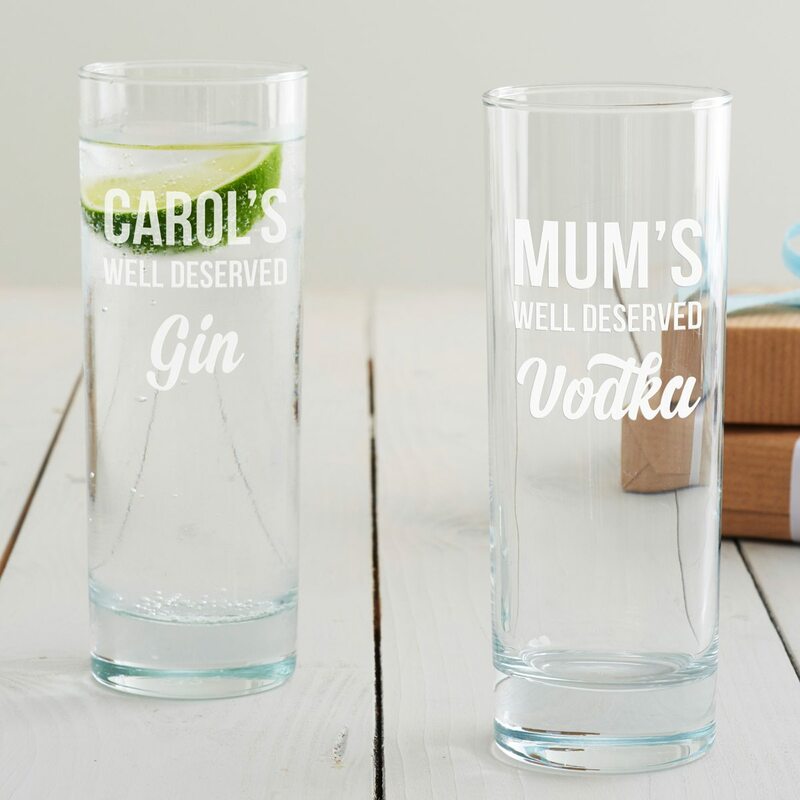 Enjoy your favourite drink in your very own personalised hi ball glass. 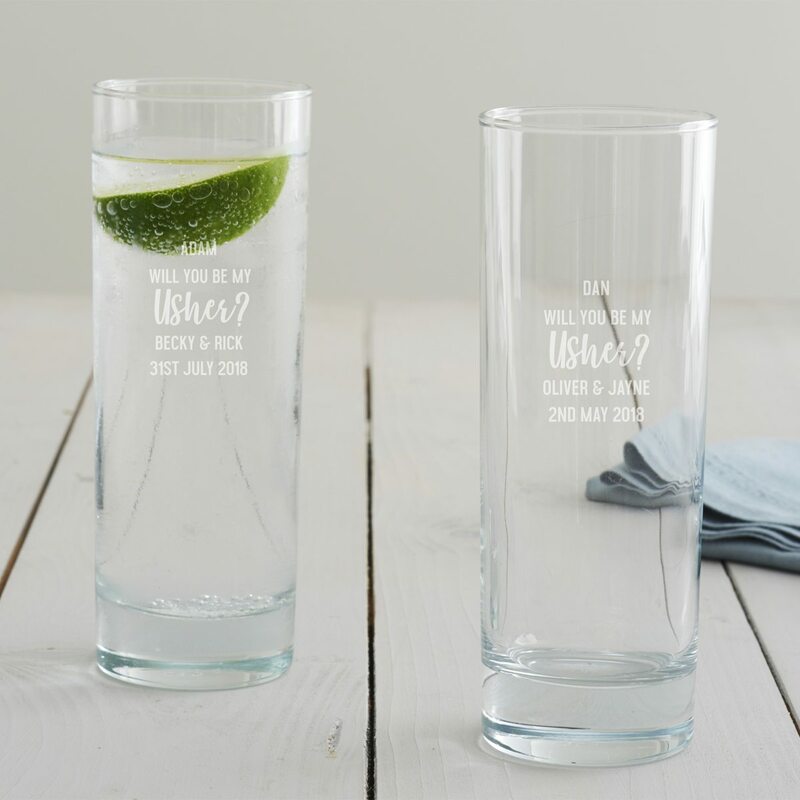 A humorous, witty hi ball glass, etched with a personalised measure line. 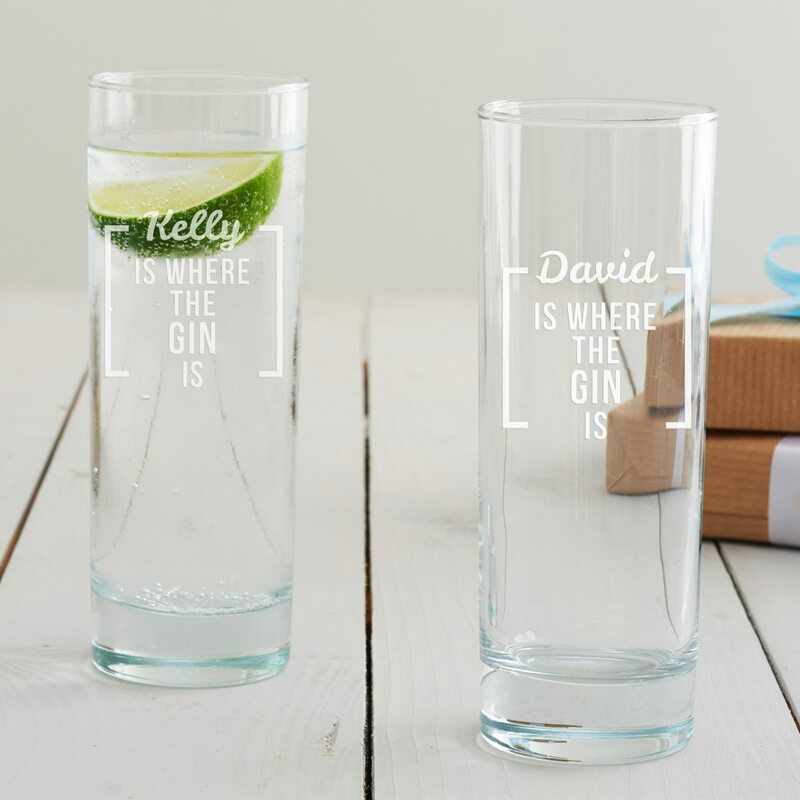 A great birthday gift for friends, you can have a laugh and a joke with this playful design. 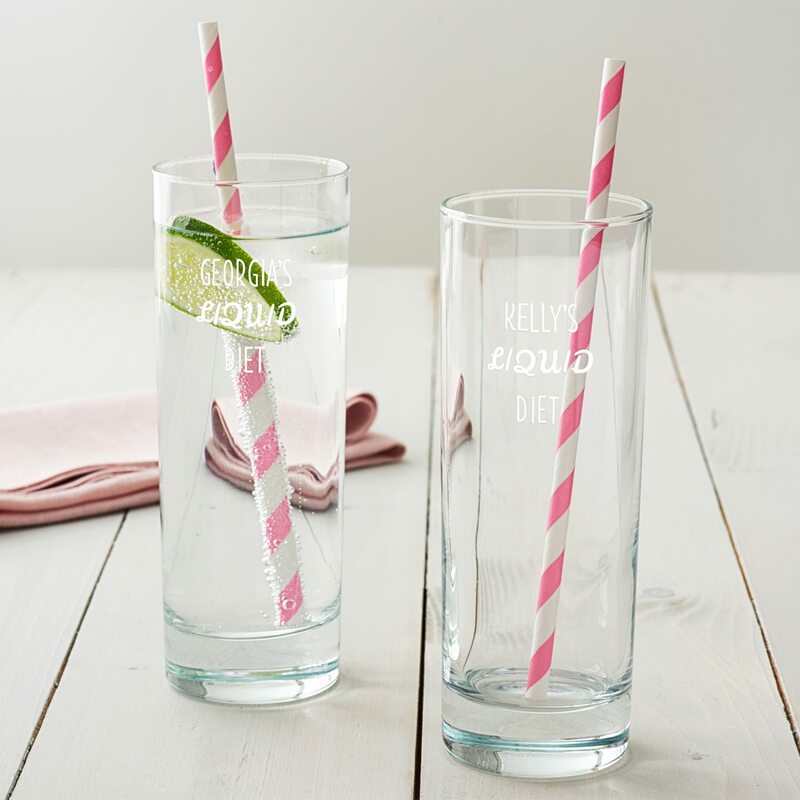 There has been plenty of press about these ‘liquid diets’ recently. 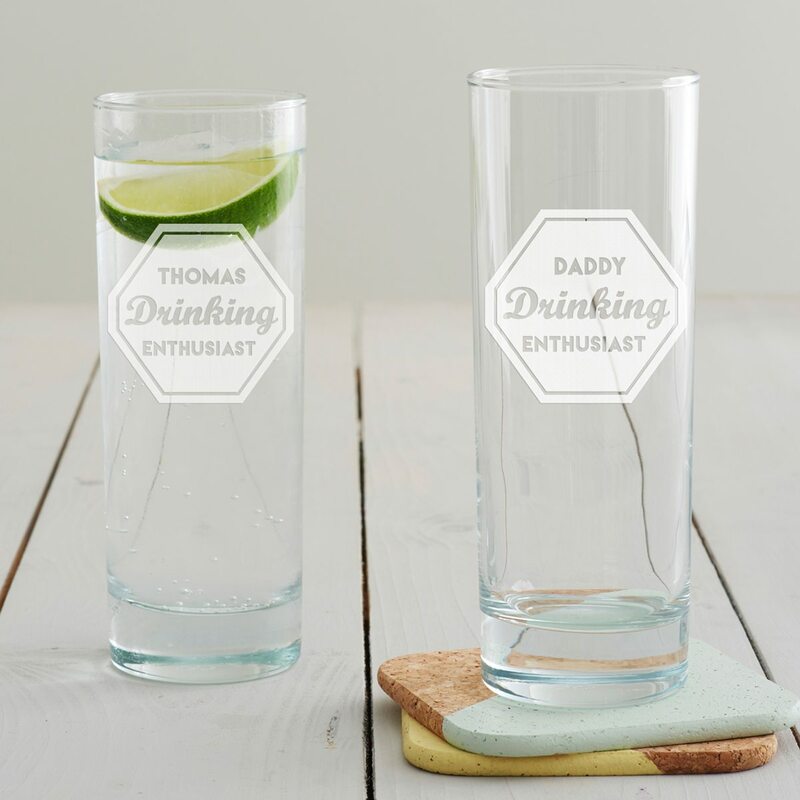 Our Personalised ‘Liquid Diet’ Hi Ball Glass is our slightly more playful interpretation. 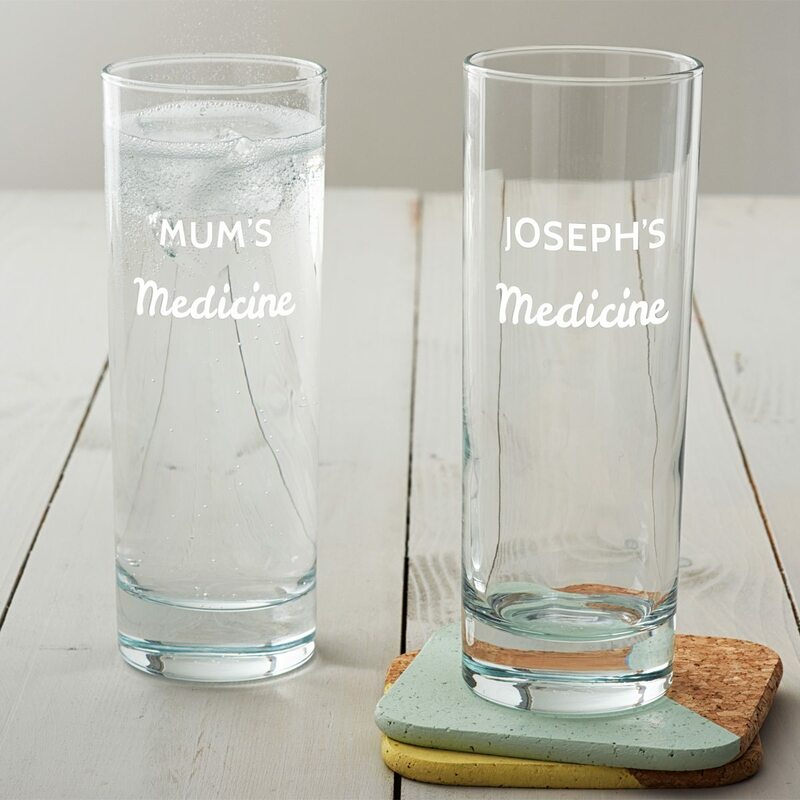 We designed our Personalised ‘Medicine’ Hi Ball Glass as there is no better medicine than a gin and tonic! 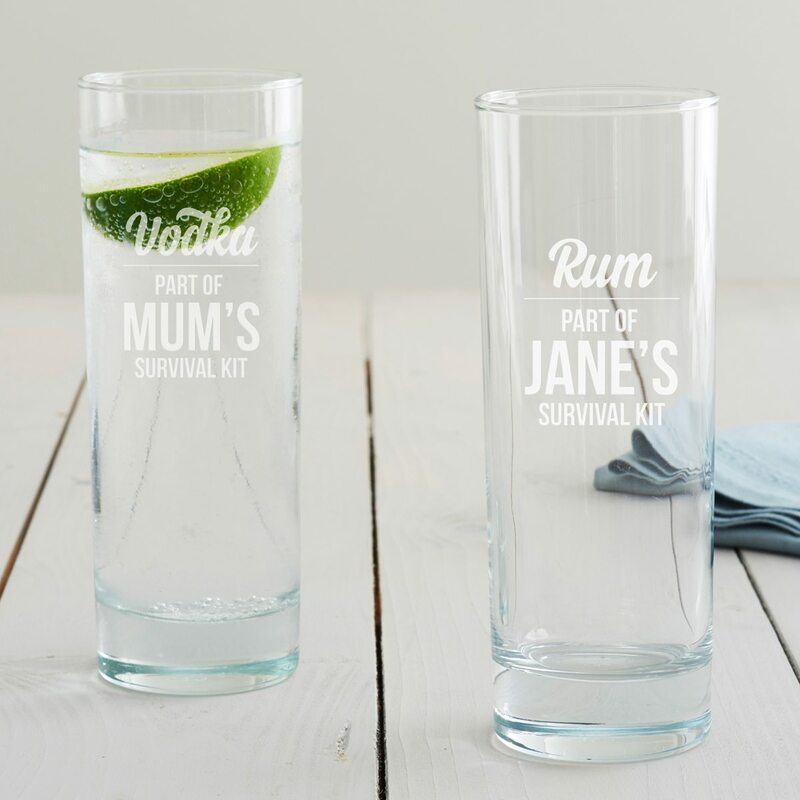 This glass will help Mum to survive even the most stressful day making it a perfect personalised glass for Mother’s Day. 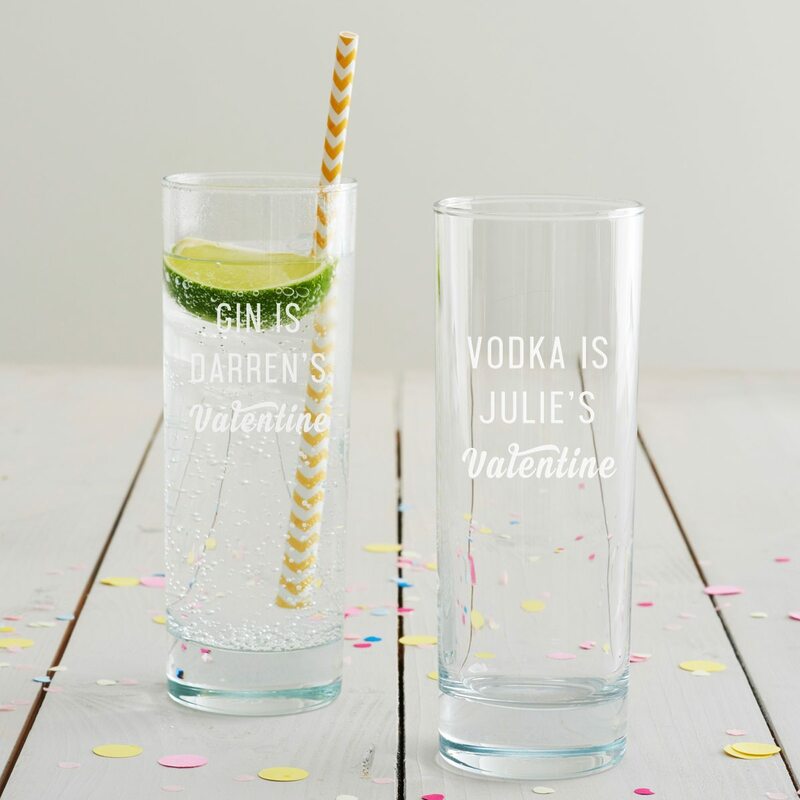 Surprise your single friends with a witty Valentine’s Day Hi Ball Glass. 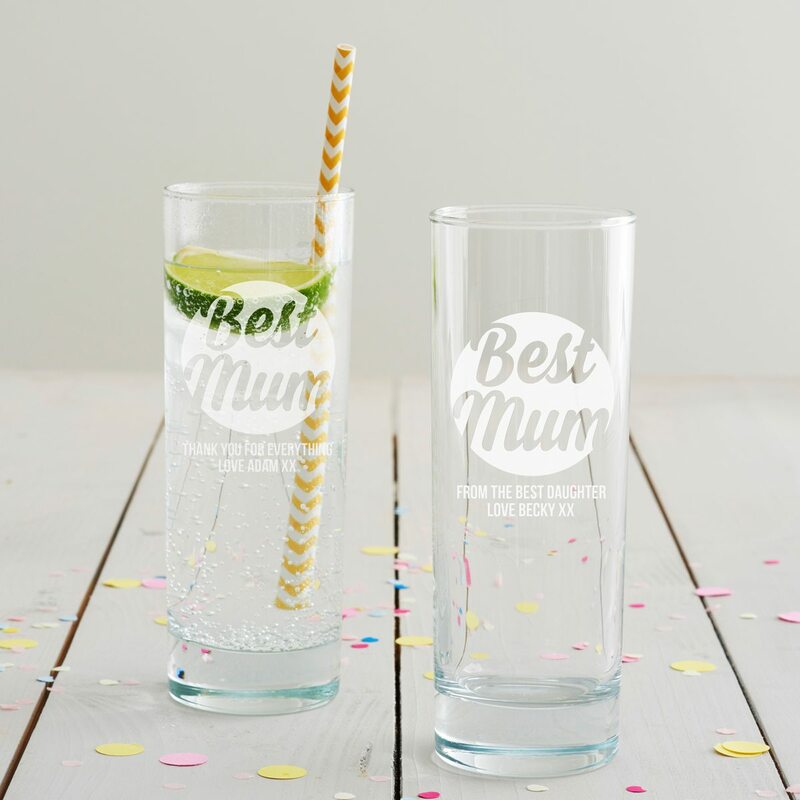 Look no further for a personalised Mother’s Day glass for the drink that all mums deserve! 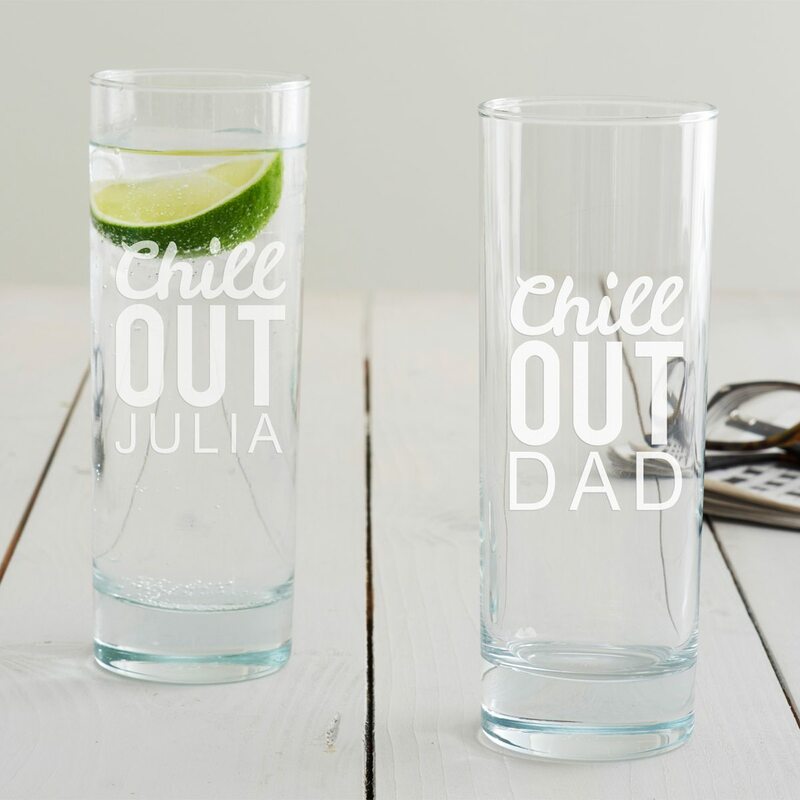 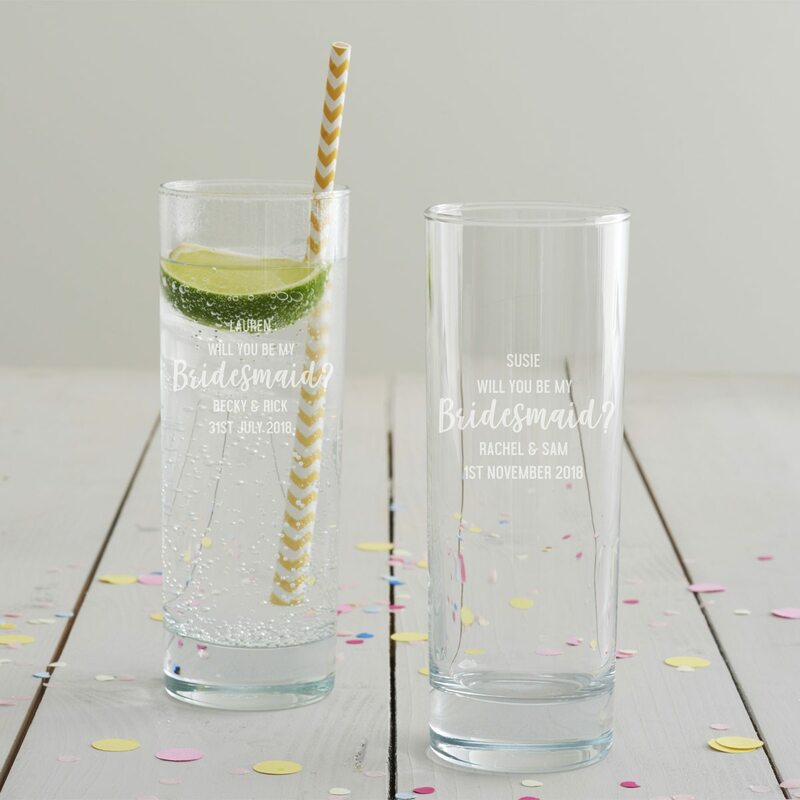 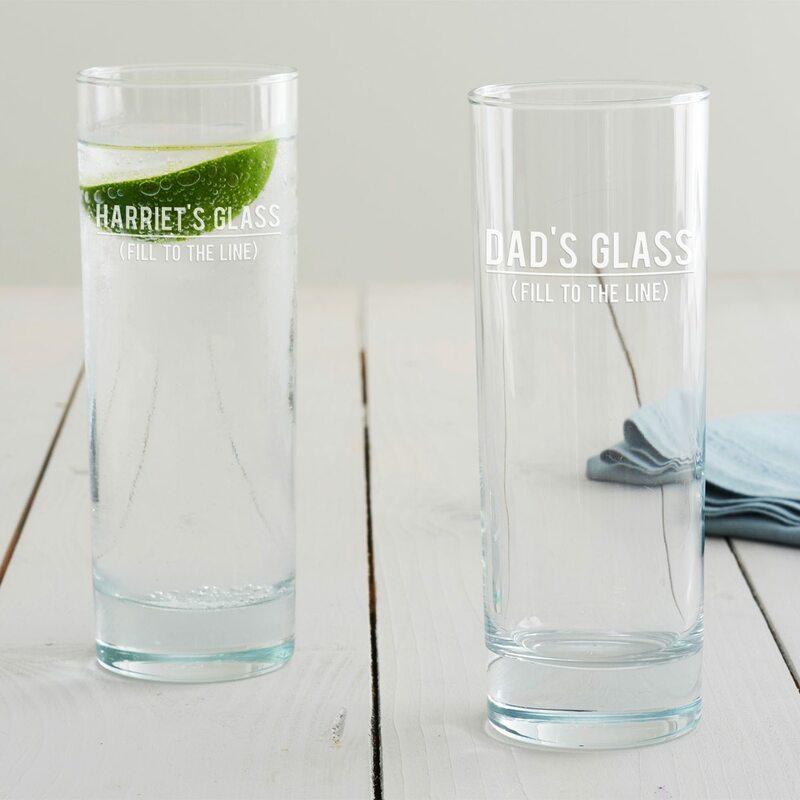 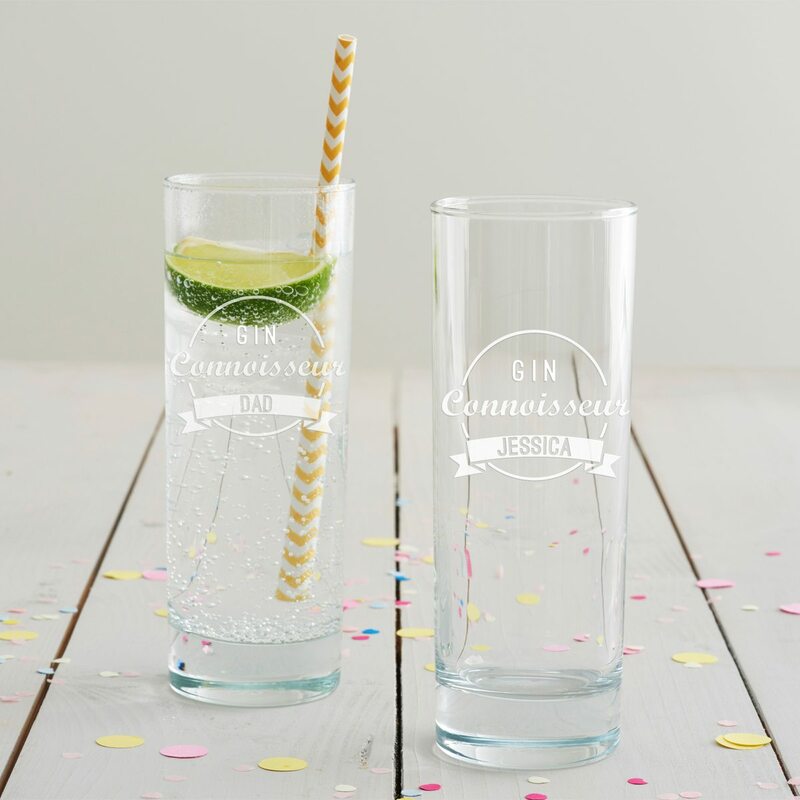 A personalised hi ball glass designed to help you ask your best pal a very key question! 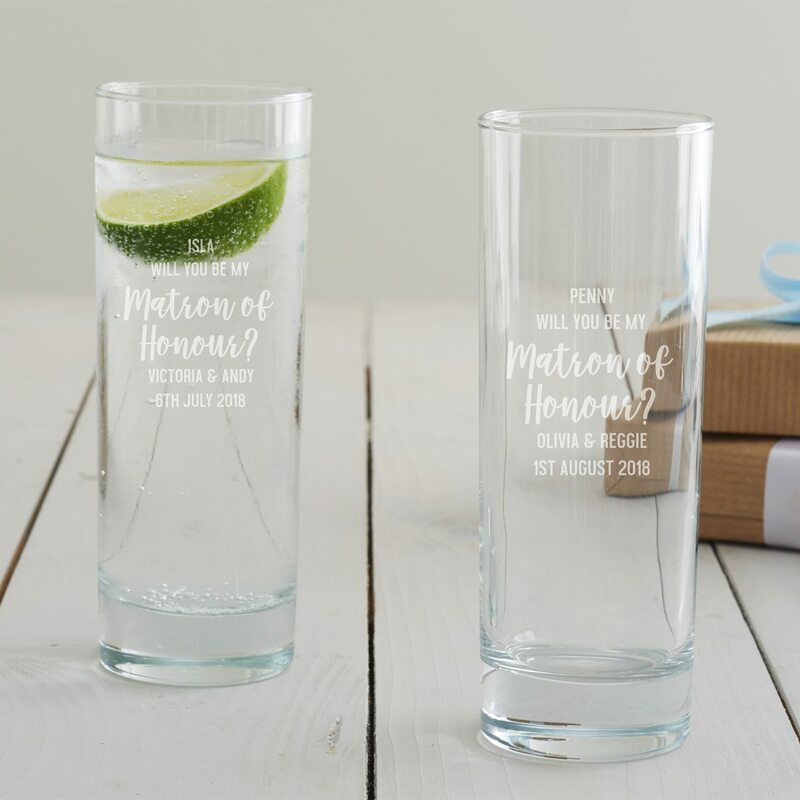 A personalised hi ball glass designed to help you ask your favourite girls that important question. 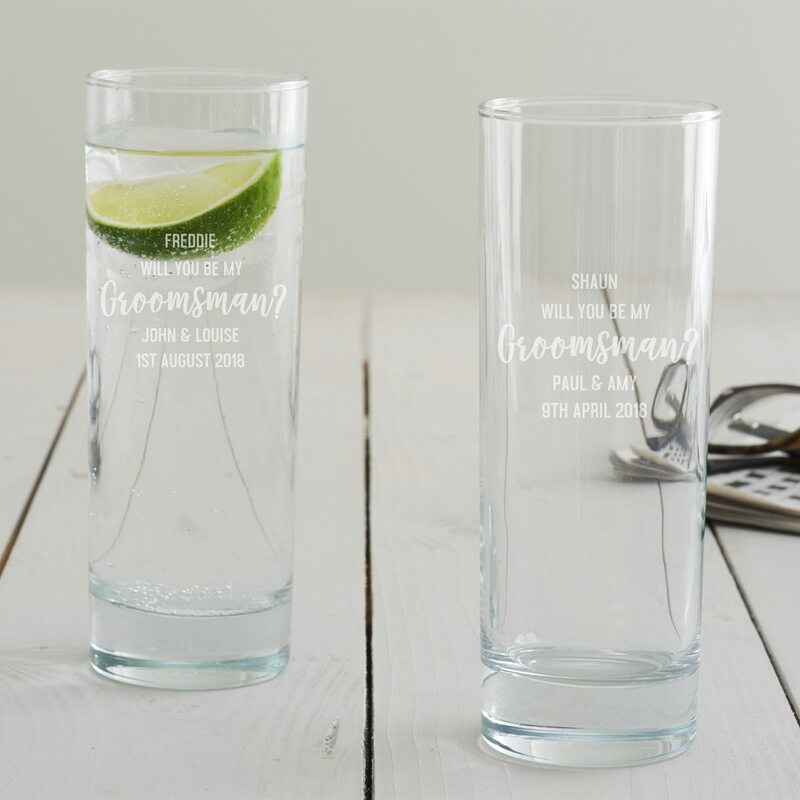 What better way to ask your friends or family members to be your groomsman than with a personalised hi ball glass? 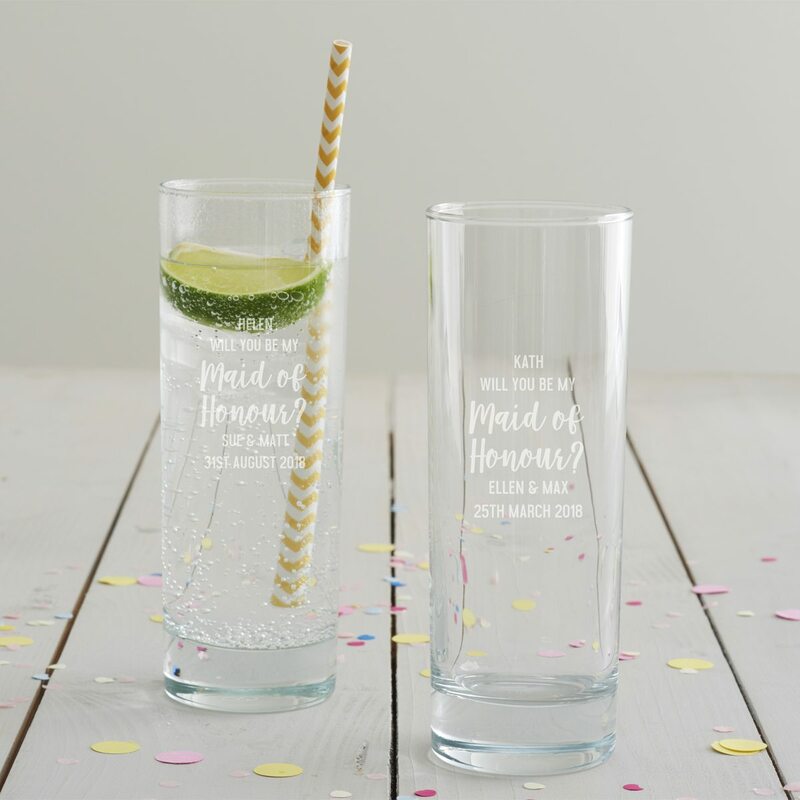 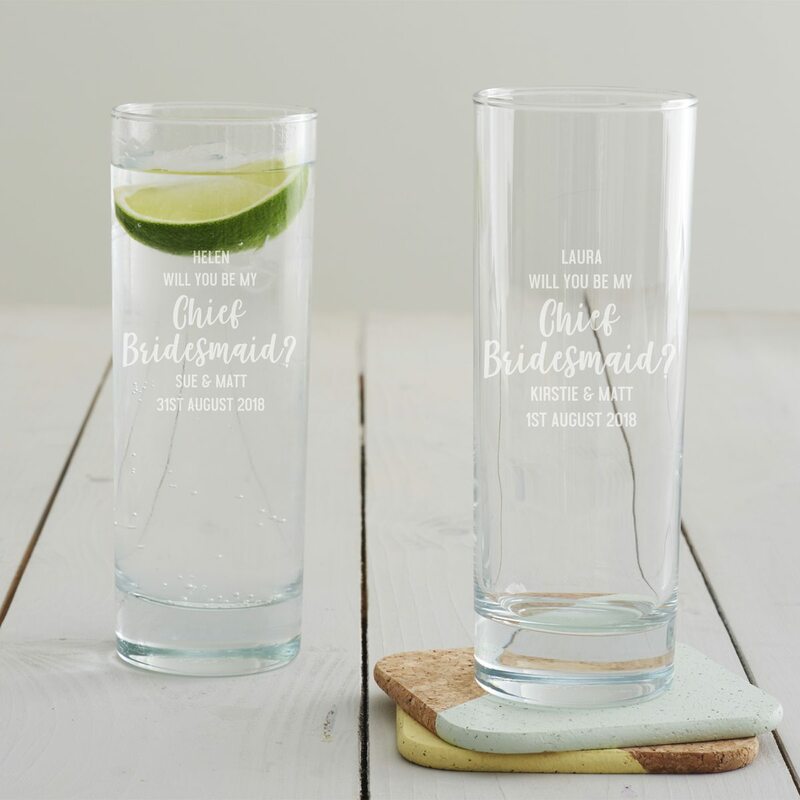 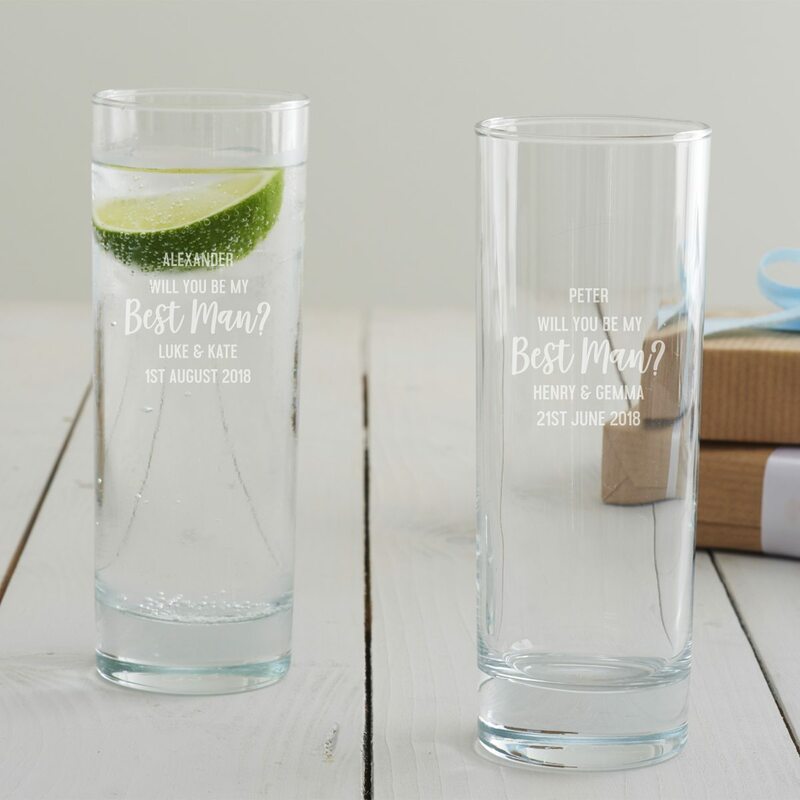 Ask your mates to be a part of your big day using our personalised hi ball glass. 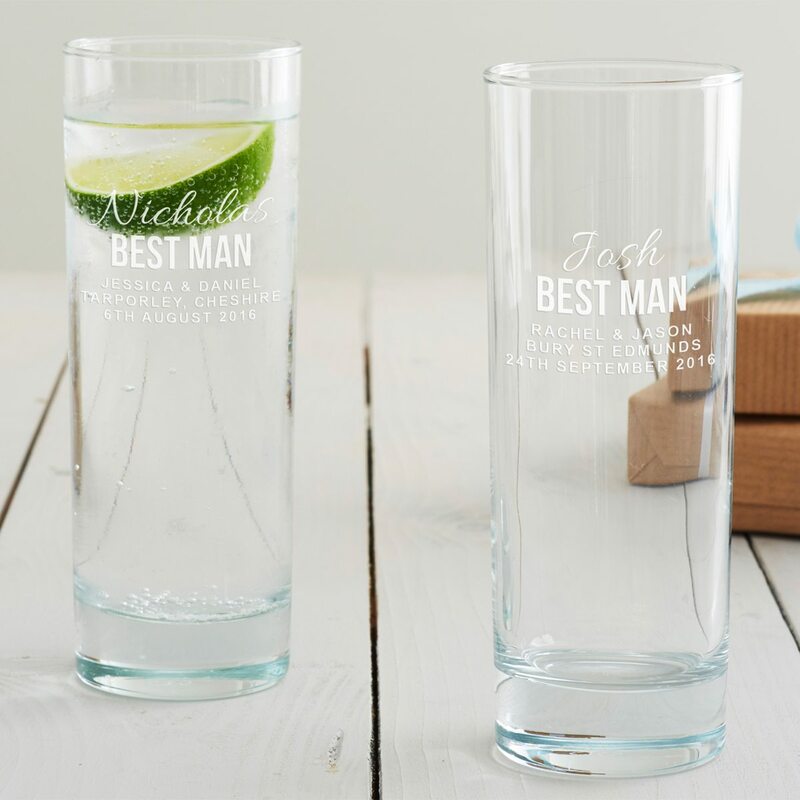 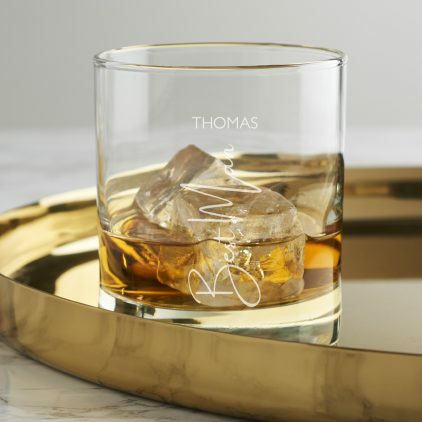 This personalised best man gift would make a memorable ‘thank you’ present on your special day.